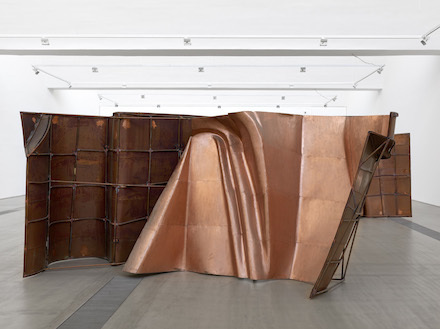 On view currently at Farschou Foundation in Beijing is a sculpture-based exhibition from the young Danish artist Danh Vo, featuring the key work “We The People (Detail),” which is a 1:1 copy of the Statue of Liberty, which is currently distributed across globe for exhibitions in New York and China. The exhibition will remain on view through August 24, 2014. 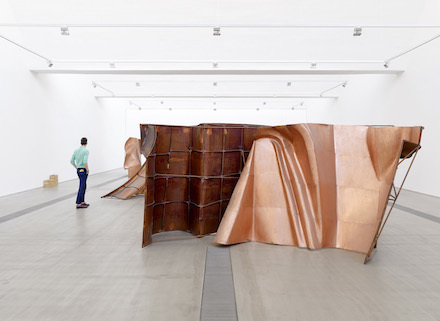 “We The People (Detail),” 2011-2013 is a large-scale sculptural work made of more than 250 copper pieces, made in an effort to reconstruct the Statue of Liberty’s individual elements and distribute them around the world in a variety of museums and exhibition spaces. The sculptures are a symbol of this iconic representative of freedom, and the work questions the meaning of freedom, specifically whether or not every person is actually entitled to it. The United States of America has been defined, at least since 1787 when the Constitution was written (beginning with the phrase “We the People”), as a nation representing the hope of “freedom” for all human beings, and the Statue of Liberty came to personify this image, standing alone on Liberty Island, just south of New York City’s Manhattan Island. Innumerable immigrants from nations around the world have seen this statue upon their approach to the United States, and it became known as a beacon of hope, symbolizing the “Promised Land” or “the land of opportunity.” Vo’s work challenges this figure, by constructing a copy of the statue’s many components, and then distributing their pieces. Parts of the statue are currently on view at Farschou, but many others are on view in New York City, part of the summer offering from the Public Art Fund. 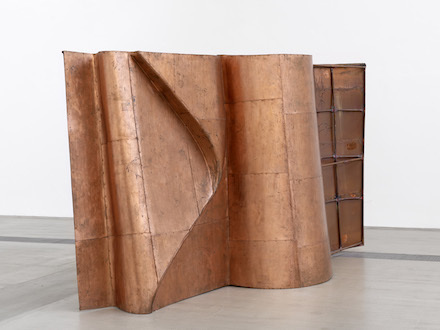 As the statue was a gift from France to the United States, it was originally shipped across the Atlantic Ocean in various parts, which Vo has once again deconstructed into individual sculptural works, each entitled “We The People (Detail).” The works are purposely made out of a thin copper material exactly the same thickness as two pennies (2 millimeters), in order to emphasize the fragility and vulnerability that goes along with the concept of freedom, and to underline the actual structure and composition of the original statue of liberty. But Vo’s work goes beyond mere simulacrum. 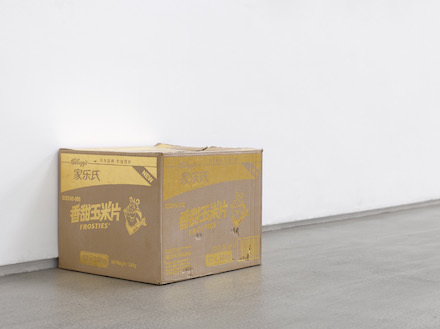 Assembled in one place and then shipped to various locales, Vo’s work here equally makes explicit the exchanges of objects and finances caught up in both the current state of the U.S. economy, as well as the increasingly intertwined nature of contemporary art. Placing an American icon both in China and the U.S. simultaneously, Vo underscores the cultural and political exchange of the two countries as bound by the increasingly global nature of art. 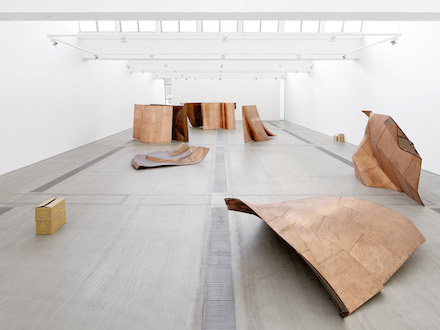 The exhibition at Farschou Foundation will continue through August 24, 2014. This entry was posted on Friday, August 15th, 2014 at 12:00 am	and is filed under Art News. You can follow any responses to this entry through the RSS 2.0 feed. You can leave a response, or trackback from your own site.